Another Snapshot Saturday! I love being part of this group of great people who share their photos and their lives with us. Thanks to Melinda at West Metro Mommy for being our lovely hostess! Art is everywhere in Silver City. There are more art galleries than there are restaurants, it seems. There is even a Children’s Art Project. One of their projects was making tiles. 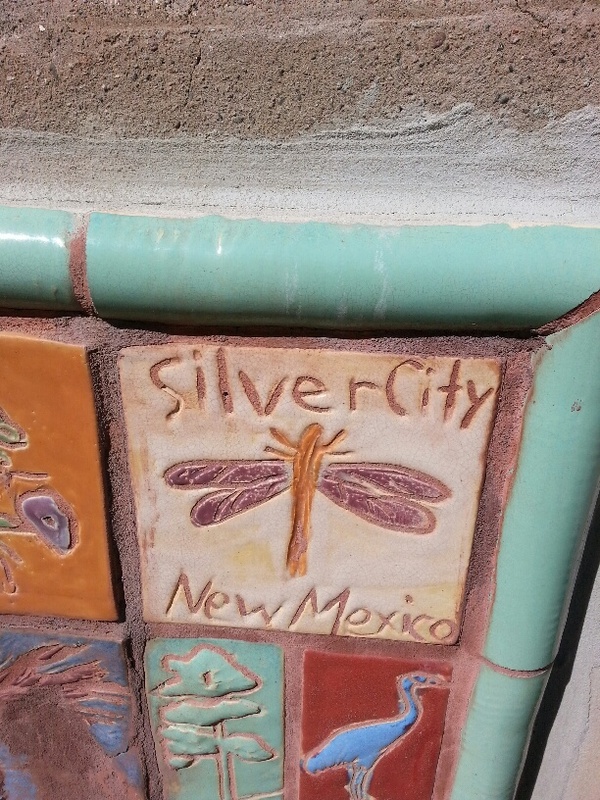 These tiles line steps in several areas of Old Town Silver City. I have my favorite. Be sure to check out what the other photo offerings are at West Metro Mommy. You’ll love what you find there! This entry was posted in Uncategorized and tagged Enchanted Days, photography, Snapshot Saturday. Bookmark the permalink. they remind me of the tiles from the Moravian Pottery in Doylestown. You’re right, Electric, they do! Gorgeous. the tiles look so lovely. i adore children’s art work ~ they seem to see the world in such vibrant colors and shapes! so lovely the tile! There are so many of these tiles around town. I should take photos of more. Thanks for visiting! You’ll love it, Laurel!! Stay in touch and if we’re here when you’re visiting, we can get together. Thanks for visiting! A great place to live, with all that art work around you. Love it. Thanks, Elizabeth! It is my favorite place. Can’t wait to live here full time! I want to go back to Santa Fe!!! I’ve never been to Santa Fe, but I hear it’s beautiful. We’re in the Southwestern part of New Mexico. Lovely! I’ve never been to New Mexico, but it is on my travel bucket-list! Melinda, it is beautiful here. You Need to visit! Love the beautiful artwork!! I sure miss visiting New Mexico!! There are so many good points to New Mexico. It’s like paradise to me. Thanks, Vicki! Thanks, Stacie! I’m trying to get back on track…too many wonderful distractions here! Have a great day! Great shot. I love tile work so this made me happy. Lovely tiles. This sounds like a great place to visit!